A day ahead of the Bharat Bandh called for by the Congress Party, fuel prices have been hiked yet again on Sunday. The constant rise in fuel prices is strengthening citizens' demand for government intervention in the matter. "There is an increase in the fuel price with each passing day, and the common man is suffering the most. The government should do something about it," a citizen from New Delhi to ANI. "We are tired of this government. Instead of the 'Achhe Din' promised by the government, the days are becoming worse. It has become difficult for us to run our house. The fuel prices are increasing with each passing day. It is affecting everything, everything is becoming expensive due to it," he added. 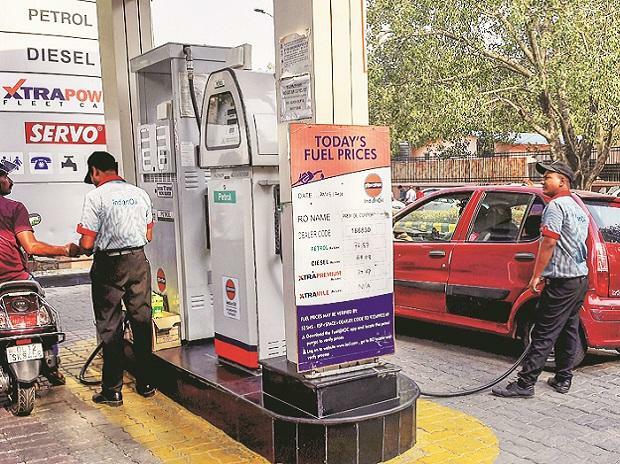 While the government has maintained that depreciation of the Indian Rupee against the US dollar and a hike in global crude oil prices is causing a surge in domestic oil prices, citizens and the Opposition alike feel the Narendra Modi government is not doing enough to curb rising oil prices.